Episodes was our specifically made mental health show. It came as a response to an increasing number of requests for the company to perform as part of the education of health professionals, students and those interested in the link between arts and health. We undertook a period of development to create and focus work with these audiences in mind. 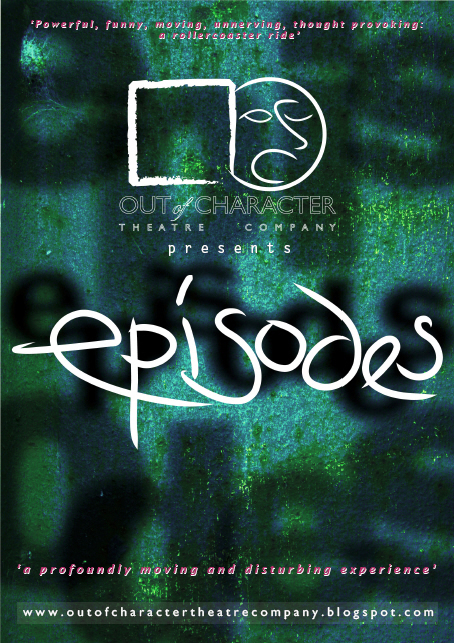 Episodes is a series of fragmented works, developed to be performed by any number of the company in a variety of locations and differing audiences. Two distinct themes instigated this work: an interrogation of the stories within, and the performative aspects of mental ill health experiences through the investigation of blurred boundaries between audience and performer in an attempt to break, rather than reinforce, stigma and assumption.